We know almost all about integrated IT systems, particularly about Dynamics NAV. Therefore, we have created ERP Knowledge Base the objective of which is to support users in selecting software, functionality and business solutions. 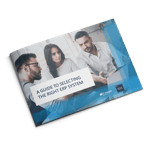 ERP Knowledge Base is a collection of materials, guides and folders on the ERP system and add-on solutions which streamline management processes. Enjoy reading! 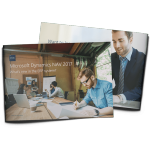 Microsoft Dynamics NAV 2018 is an ERP system which will transform your business to a higher level, adding up a new value to it. 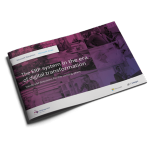 It will enable you to enter the path of digital transformation and stimulate your organization to grow and your employees to develop while working with integrated and intelligent business solutions. 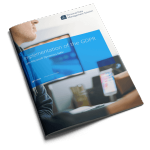 On May 25, 2018, the General Data Protection Regulation (GDPR) comes into effect. The GDPR is a legal act binding in Europe the purpose of which is to ensure data privacy and security, as well as to establish new standards in the scope of the right to privacy and data security. 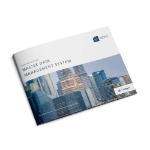 Due to inefficient information flow between users and subsidiaries, many companies struggle with major data inconsistencies. In many cases, it is the result of using separate databases in individual locations. We are pleased to present our company folder. IT.integro’s market presence dates back to 1991. Many years’ experience, knowledge gained and commitment have enabled us to achieve the leading position in implementation of a globally recognized ERP system ‑ Microsoft Dynamics NAV. We offer business software which is ideally tailored to the specific requirements of both Polish and international markets. Get to know a modern Microsoft Dynamics NAV-based solution designed for retail management. 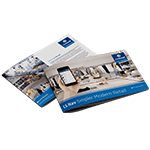 Download the folder and learn about software functionalities for store, e-commerce, back-office and mobile solution management. 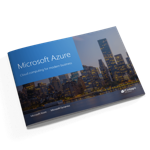 Polish Functionality is an add-on module certified by Microsoft that extends the standard Microsoft Dynamics NAV version with local functionalities. 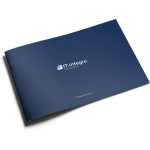 The module has been developed and prepared by IT.integro’s consultants and translators. Its main objective is to make Microsoft Dynamics NAV compliant with local legal and business requirements. Nowadays, companies accelerate the implementation of innovative solutions. However, investment in the latest software is becoming more and more expensive. Persisting with the old system when your competition is investing heavily in the latest innovations means you will drop behind. With a competitive advantage based on modern technology, your competitors are able to predict, adjust and respond to ongoing changes instantly, thus strengthening their market position. Day by day, you run your business in line with adopted vision and goals: looking for new sources of income, trying to stay ahead of your competition and making the most of your business with the fewest resources possible. At the same time, you make all necessary efforts to ensure that the funds invested bring the biggest gains. New internet technologies, social media networks and the ubiquity of mobile devices are an incentive for car manufacturers to introduce new opportunities for their traditional showrooms and transform them into an innovative sales network. 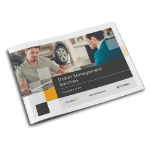 With this strategic approach towards shifting business demands, automotive companies are able to gain a competitive advantage. 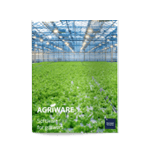 IS Agriware is an end-to-end horticulture solution that is integrated with Microsoft Dynamics NAV. It encompasses all horticultural business processes, including time, space, labor and material management. 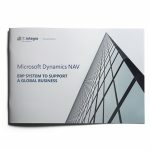 Microsoft Dynamics NAV is the most recognized ERP system that has been launched by Microsoft on the global market. Until now, it has been implemented in 150 000 companies in 49 countries worldwide. The modern market presents business owners with outstanding challenges. It requires them to get a deeper understanding of customers’ needs, make more accurate decisions, keep full control over processes, improve product and service quality, collaborate effectively, ensure better access to data and availability and mobility of employees. Document Capture is a modern business solution based on the OCR technology that streamlines administration processes. With Document Capture integrated with Microsoft Dynamics NAV, it is possible to scan invoices and other document types as soon as they are received. 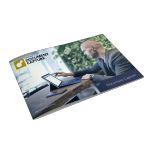 As a unique solution on the market, Document Capture enables automated document registration and full-text search directly from within the ERP system. Technology and the global economy evolve with breathtaking speed. Just like the behaviors of customers and market demands. What is the direction business solutions have been heading over the last few years? 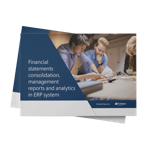 What strategy should be adopted by ERP systems and cloud service providers? 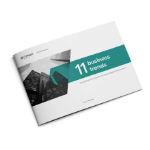 What business trends should be followed by companies to maintain the competitive position on the market? 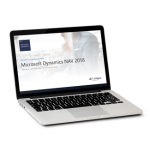 Microsoft Dynamics NAV 2017 – What’s new in the ERP system describes key functionalities within the latest ERP software. NAV 2017 is even more mobile, intuitive and user friendly. It offers comprehensive support for your business. 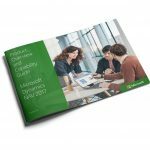 Learn more about the capabilities of Microsoft Dynamics NAV 2017 and download the lasters NAV 2017 brochure! 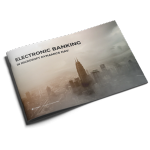 Through its integration into an ERP system, the Electronic Banking (E-banking) module streamlines the process of entering and delivering bank transfers. It facilitates an automatic or manual transfer preparation of transfers in Microsoft Dynamics NAV for banks, vendors and customers. As the modern world is changing rapidly, entrepreneurs have growing and more varied expectations. Technology is the area that is undergoing the most rapid changes. 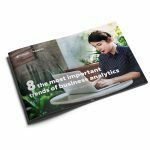 In this report, we discuss the forecast for the development of business analytics that we will surely be experiencing in the future. We enter the world of digital transformation that affects the market, consumers and competitors. 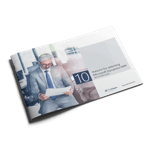 It has an impact on business strategies and models and requires modern companies to reinvent them. Technological innovations crop out at a surprisingly fast pace. The latest trends indicate the direction of evolution. This evolution is based on mobility, artificial intelligence, the Internet of Things, cloud computing, social media networks and analytics. 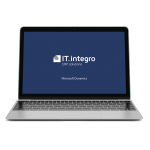 For almost 20 years, IT.integro has been implementing Microsoft Dynamics NAV. We have experience and know-how which enable us to manage even the most complicated implementation projects. We cooperate both with small family enterprises in Poland as well as with multi-subsidiary global corporations.